Take a moment to read this moving testimonial from Hannah Rivard and her horse Maia (pictured here), who won our GoldStar Scholarship 4 years ago. 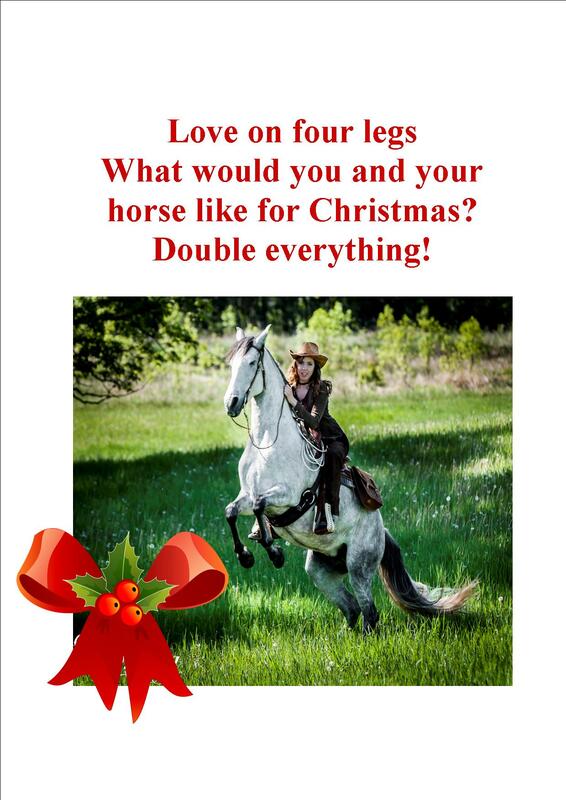 I was thinking ” What could I do for Christmas this year that’s REALLY special?” What better way to give thanks for this amazing year and celebrate Christmas than to give everyone – Horse Lovers and their horses both – everything they want? Celebrate with a Soul Bond between horse and human. So… ALL my own products in the shop here – EVERYTHING you buy this Christmas, you get the same dollar value to spend on something or somebody else – and take as long as you want or need, to do that. 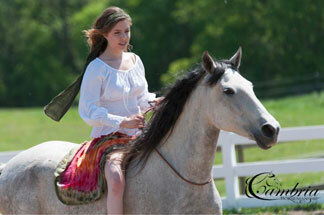 Celebrate by Feeling AND Being gifted, competent and confident with your horse. Buy a thousand dollars worth of internet lessons and healing sessions for you and your horse – get another thousand dollars to spend however you like – whenever you like. Use it for next years Horse Retreat here (March /April), or to extend the days in a private Horse Magic Program at your place, or use it to buy Fast Track to Brilliant Riding (Fast Track is the program Hannah was talking about in her story here), give books away to your friends (that’s my books only folks! 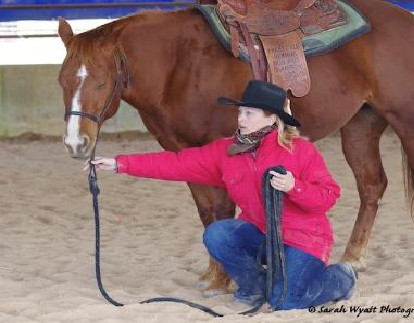 ), share the profound connection with your horse that comes from the lovely program 21 Days to a Quiet Mind – whatever beautiful thing you want to do with all that yummy extra money. Celebrate with healing for your horse and healing for yourself. From the once in a life time gift to yourself and your horse of the Horse Magic program – all the way through my programs to any of my books – get the same dollar amount to spend on something else. Use it for a gift for a friend or give the bubbles of happiness to yourself. Celebrate by satisfying your soul with that beautiful “love on four legs” that is our horse. So… ready to salivate over the goodies and figure out which thing is going to help you reach your dreams with your horse right now? When you’ve made your purchase, email me here and tell me how you’d like to spend your extra money! Find the training programs CLICK HERE. Find the healing sessions and private lesson bundles CLICK HERE. Find the books CLICK HERE. 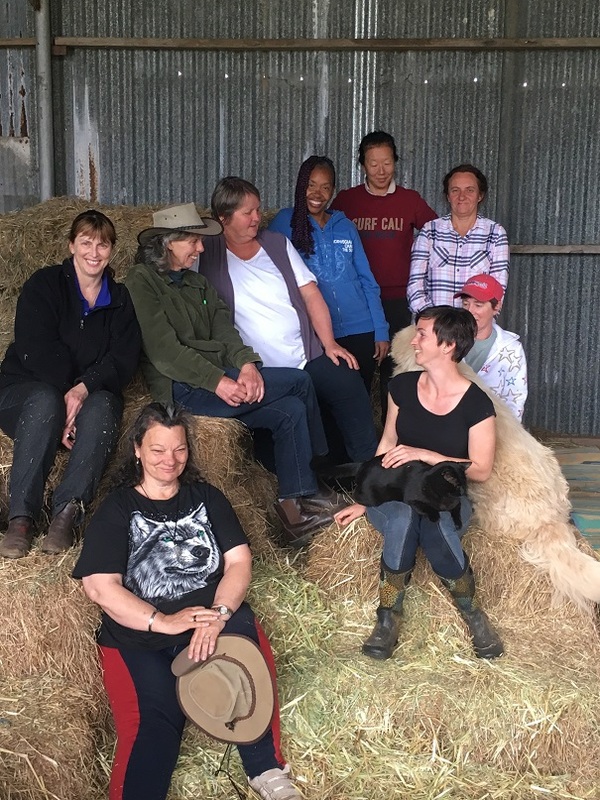 At 61 years old last month and celebrating marriage for 36 years to my wonderful guy just a few days ago, this has been one of the most dramatically wonderful years of my life – in my personal growth and in sharing all this beautiful horse and healing work. My heart is specially filled with gratitude to all my students – some of whom have far surpassed me in their sheer and utter talent – and to all you readers here, as we continue to escalate each other into more and more excellence. Have a wonderful, wonderful Christmas and New Year everyone, knowing that there are more beautiful things about horses to celebrate than there have ever been before – and the impact of that on the rest of the world creates the possibility of enormous positive change. thank you so much for your kind generosity. I wrote “Ahhh” on the pommel of my saddle to help me stay in that relaxed, loving, quiet place when riding. You have helped me in so many ways. Wish you and yours all the very best. What a gorgeous reminder Deb! And Thanks! Merry Christmas Jenny – YOU are a gift to all of us, in and of yourself 🙂 We thank you for this wonderful and generous offer too. You are generous to a fault, you over-deliver and whenever we should need you – you are always there for us. I am very grateful to you Jenny, for all you offer, teach and share. That’s very nice of you to say so Kathy – thanks!